It is always troubling to witness the countless Christians who gullibly succumb to the wiles and deception of prophets and other 'man of God', who lure them into believing that they need their prayers and blessings to receive miracles from Jehovah God. These prophets and ‘man of God’ have made disturbing careers in the art of deception for the sole purpose of self-aggrandisement. No wonder so many have lost their precious money, and even property, to these people, in the hope of some miracle – most of which do not even manifest. Before delving deeper into the scriptural aspects of this matter, an example would be appropriate. 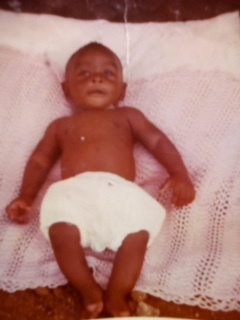 I was a miracle baby, and no prophet or ‘man of God’ was required by my parents. In fact, I call myself: ‘the 3 miracle baby’, because not one, not two, but three miracles happened in my birth. The first miracle was in that ever since my parents’ marriage, my mother had two consecutive miscarriages. After much personal prayer, their third pregnancy was successful, resulting in my birth. However, I was not breathing at my birth at Torwood Hospital on12 July 1973 – although there was a heartbeat – and despite the doctor’s frantic efforts to resuscitate me, it took about an hour for me to start breathing; and four hours for my first cry. The third miracle was that, as my brain had not had any oxygen supply for nearly an hour – due to my non-breathing – the doctor’s prognosis was that I would be in a persistent vegetative state (PVS) for the rest of my life. Nevertheless, as you are reading my article, that proves that I never had PVS or any form of brain damage, in fact I did pretty well in school. Who would deny that these were indeed miracles, which only Jehovah God through His Son Christ Jesus could perform? How many Christians would be willing to part with their hard-earned God-given money – and even property – so that a prophet or ‘man of God’ may pray for them for such miracles – even for just one of these miracles? However, my parents knew that there was only one intermediary between us and Jehovah God, and that was Jesus Christ. That is why Jesus himself said in John 14:5, ‘I am the way, the truth, and the life: no man cometh unto the Father, but by me’. No other person was appointed to be the way to God, except Jesus. So why do Christians need another human being to intercede for them? Others may argue that the Apostles in the Bible healed people in the name of Jesus. That is very true, but these people who were healed were non-believers – they had not yet received Christ and not yet baptised by the Holy Spirit. These healings were done on them through the Apostles so that they may believe that Jesus was truly the Christ, and that all He had preached was true. That is why in Mark 16:15- 18, Jesus commanded as such, ‘Go ye into all the world, and preach the gospel to every creature. ‘He that believeth and is baptized shall be saved; but He that believeth not shall be damned. Jesus gave those that believe in Him so much power to perform miracles – even to heal the sick – yet today, we witness those that claim to be Christians not being able to pray for their miracles on their own, but see the need to go to some prophet, or ‘man of God’. There is absolutely nothing wrong with asking other believers to pray for you – as an addition to your own prayers – but there is everything wrong with believing that another human being has such powers to be an intermediary between you and God. This type of mentality stems from a ‘mudzimu’/ancestral worshipping – whereby, there is a god, and dead spirits who talk with him, then earthly spirit mediums who talk with the dead spirits. We have now incorporated that onto the church, where we now have a prophet, or ‘man of God’, who intercedes for us with Jesus, then Jesus intercedes for us with Jehovah. That is unequivocally unscriptural and pagan. If Jesus himself gave each and every believer the powers to cast out demons, and heal the sick, why then would those Christians not believe that they can receive their miracle straight from Jehovah through Jesus – without the need of a prophet, or ‘man of God’? As far as I am concerned, this is an insult to Jesus, and is actually a form of idolatry – as these people are actually worshipping these prophets, and ‘man of God’. That is why such people end up fearing these prophets, and ‘men of God’ more than they fear God Himself. Have you ever noticed how such Christians would rather not be seen by their pastors doing something ‘wrong’, yet forgetting that God sees them all the time? Similarly, how they become so angry when one criticizes their pastors, yet will never become so enraged when one criticizes Jesus? Or, how they give testimonies, or speak glowingly about their pastors, but not so much about Jesus? They even end up being told what to do, and how to run their lives by these prophets, and ‘man of God’. No wonder some fall victim to these prophets’ threats leading to rapes – and other unsavory acts – because such people give these ‘man of God’ the authority and power they do not have. True Christians should believe that they truly have power – the Holy Spirit, who is the same power that rose Jesus Christ from the dead. With such power in me, what can I not do? What is the point in robotically reciting verses such as, ‘I can do all things in Jesus Christ who strengthens me’, yet can not believe in your own miracle? If you truly believe that you can do all things in Jesus Christ, then you should genuinely do all things. Why then do you need to go to some prophet, or ‘man of God’ – as that will mean that what you truly believe is that it is only your prophet or ‘man of God’ who can do all things. I refuse to get my miracles through another human being, as Christ never appointed any special class of people to be miracle deliverers. All believes are miracle deliverers, specifically to those who do not believe, so that they may believe. As for my own miracles, I pray for them myself, and they truly manifest. My parents’ example in true faith – and as a 3 miracle baby – strengthened me to understand that only Jesus is our intermediary with Jehovah, and I can boldly approach His throne on my own, without the need of some prophet, or ‘man of God’, and He will surely grant my miracle.